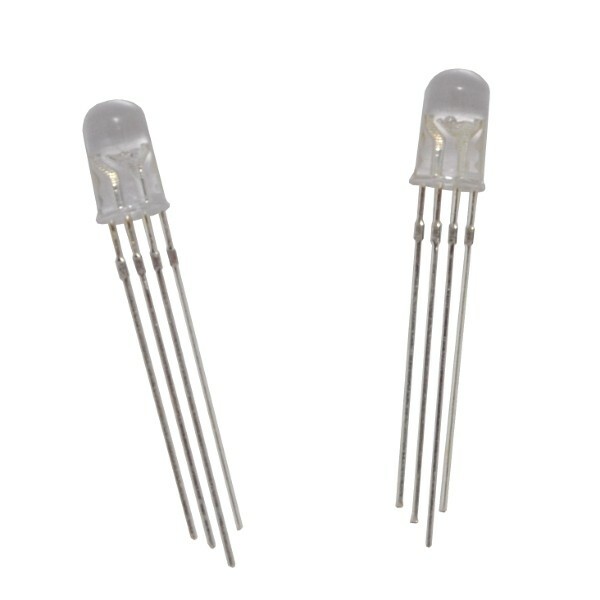 This color RGB LED has a 5mm clear lens and a four pin common anode interface. RGB LEDs use three tiny Red, Blue and Green color component LEDs to generate a rainbow of colors. Each LED color can be toggled on and off at varying rates and combinations to produce a virtually unlimited range of colors and effects. 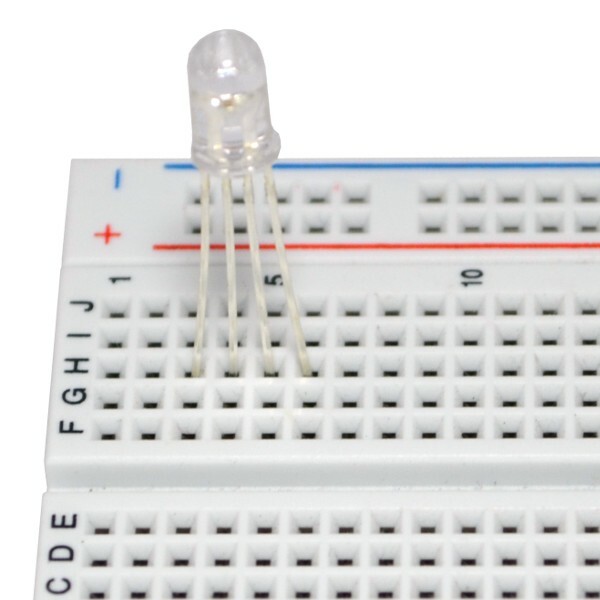 This LED has a clear lens that measures 5mm in diameter. Three of the pins connect to the cathode of each RGB component with a fourth pin as the common anode. 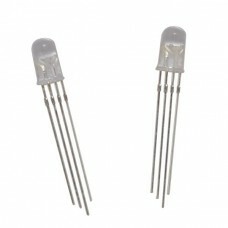 This package includes two common anode RGB LEDs.